I don’t know about you, but the holidays just aren’t the holidays unless until I’m messing around with pounds of butter and sugar. 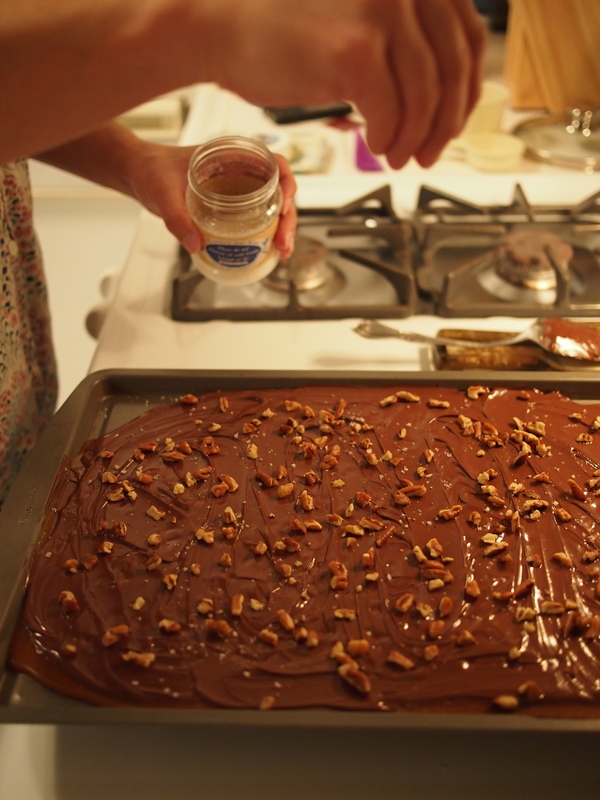 Cooking a batch of this rich toffee makes me feel like one of Santa’s jolly elves. 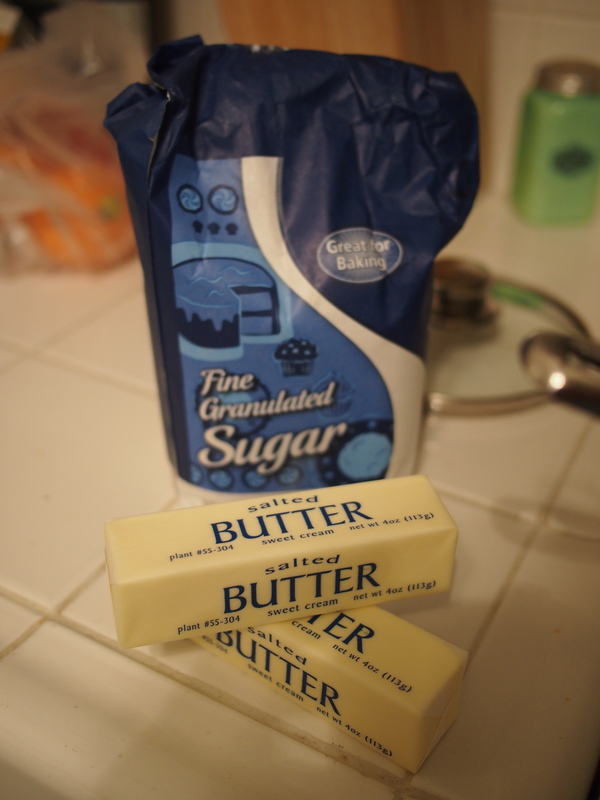 In a heavy-bottomed saucepan, combine butter, sugar and water. Cook over medium-low heat and stir stir stir until it reaches hard-crack stage (300°). This will take about 15 minutes. 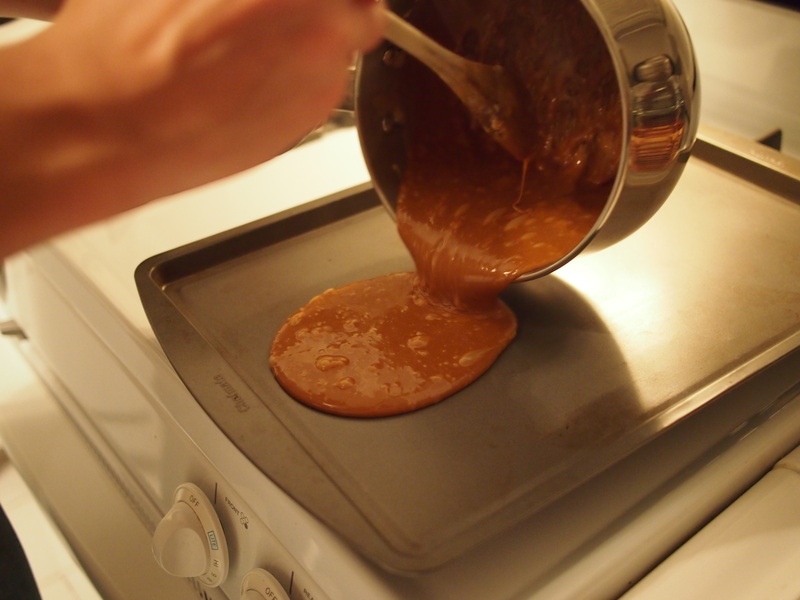 Pour toffee onto an ungreased cookie sheet. Let set for a minute. 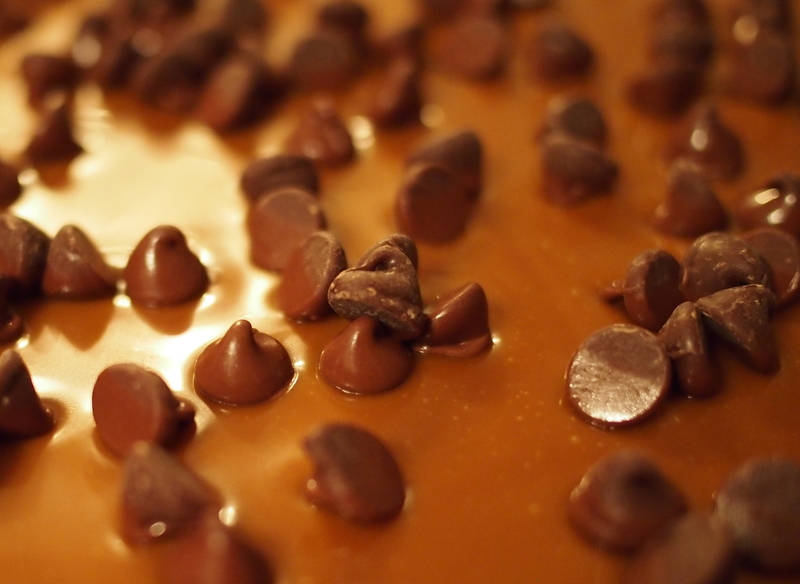 Sprinkle chocolate chips over the warm toffee. Allow the chips to soften, then use an offset spatula (or the back of a large spoon) to spread the chocolate into an even layer. Sprinkle nuts over the chocolate. Add a dusting of sea salt. Allow the toffee to cool completely. Break into pieces. Store in a hard-to-open container on a high shelf so you can’t mindlessly eat it all in a single sitting. Or, package and give away immediately. Don’t even bother trying some toffee with your morning coffee; I already tested that and it’s a terrible combination.